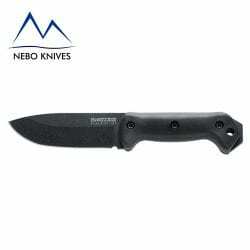 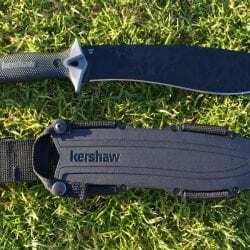 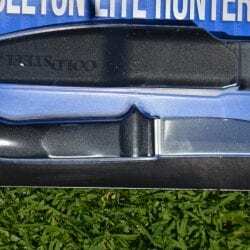 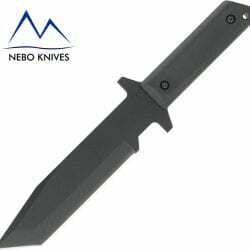 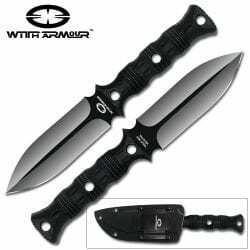 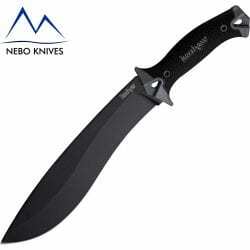 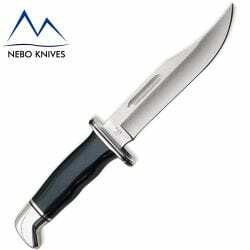 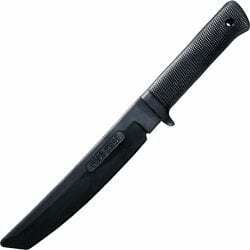 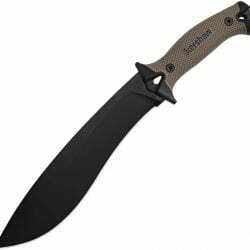 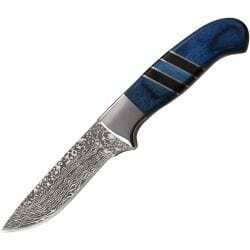 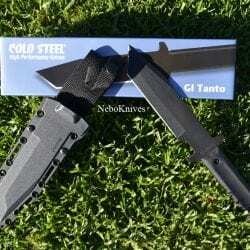 10″ (254mm) 65Mn carbon steel blade with black powder coat finish. 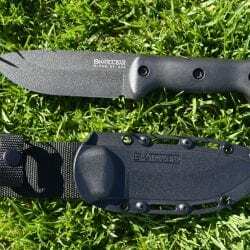 Checkered Tan rubber handle with gray trim. Molded Tan sheath with nylon belt loops and fasteners. 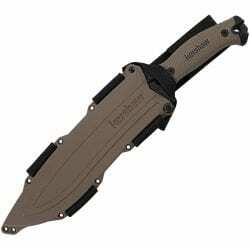 While it would be a lot of fun for our marketing department to sell the Tan Camp 10 as the ultimate zombie-whacking tool, the truth is, it actually has a lot of other uses that you just might find to be of a more immediate nature than zombie defense. Not that we’re ignoring to the coming Zombiepocalypse, mind you. 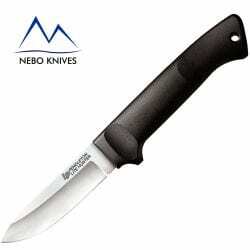 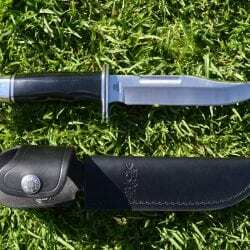 We just think that the Camp 10 makes a pretty awesome camping knife and that it does a great job of whacking campsite or other outdoor chores down to size in very short order. Molded Tan FRN sheath with nylon belt loops and fasteners.